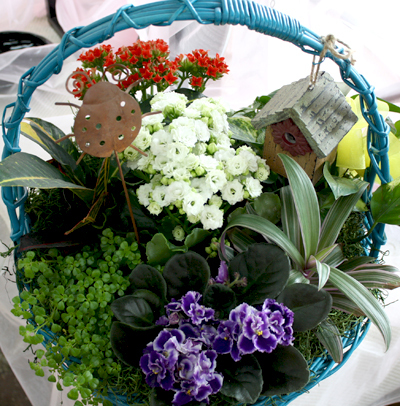 Below are some examples of plant gift baskets. If you have something specific in mind, we would be happy to put it together for you. Please also stop by our flower shop and take a look at our wide selection of house plants, flowering plants, and outdoor plants. Our stock is always changing.